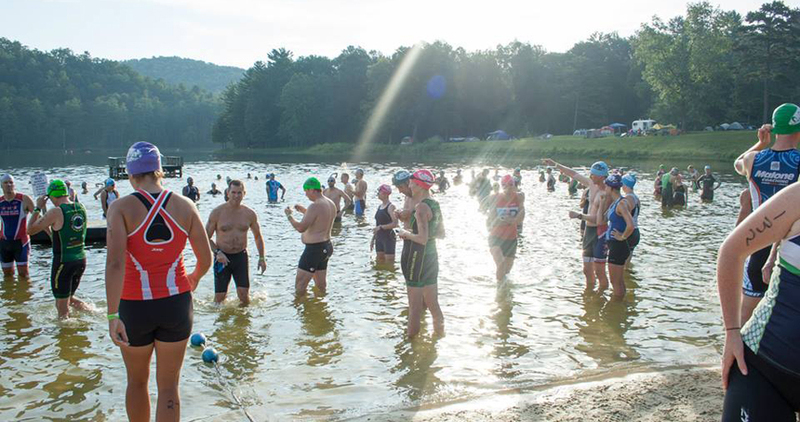 Open water swimming is strictly prohibited in Lake Arrowhead unless organized by Racine MultiSports. LIMITED TO 50 PARTICIPANTS for each swim date. Register quickly as we expect to sell out due to registration numbers at this point. We are very pleased to offer this opportunity to all Racine MultiSports and Luray Triathlon followers. Racine MultiSports has exclusive rights to use the lake at Lake Arrowhead for these swims. Caution: These swims are at your own risk. We do not provide emergency medical support during these practice swims. You must use your own judgement on what you can handle with respect to water conditions and your ability to swim in open water. There is lifeguard support (1 per 50 swimmers). 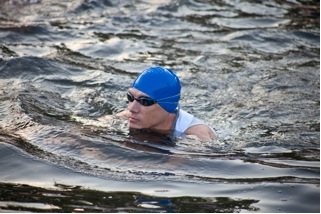 New Open Water Swimmers: We invite new open water swimmers to practice with us. We require that you are comfortable swimming laps in a pool before trying open water swimming. We will require you to wear a flotation device (New Wave Swim Buoy) so that we can see you. It will also give you flotation to hang on to any time you might need it. The buoy does not alter your swimming but floats behind you providing visibility and safety. The lake has a shallow section that you can practice in before heading out to deeper water. We thank our friends at New Wave Swim Buoy for providing us with the New Wave Swim Buoys. New Wave Swim Buoy is a Trusted Companion for Open Water Swimmers. 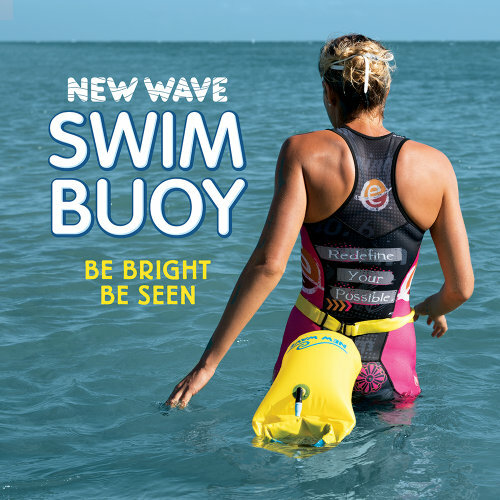 Use Amazon promo code “LurayTri” at checkout for 10% on any New Wave Swim Buoy on Amazon (http://amzn.to/2qjlcqx) simply search for “New Wave Swim Buoy” on SEVEN amazon markets: Amazon.com, Amazon.CA, Amazon.DE, UK, SP, FR, IT). The same promo code “LurayTri” will apply on our US-based estore www.NewWaveSwimBuoy.com including swag (swim cap, phone pouch, towels, visors, keychains). Water Conditions: The water in Lake Arrowhead is clean and is usually free of underwater vegetation. The lake is treated throughout the year to keep vegetation to a minimum. Water temperatures will vary and once the water temp is over 65 degrees wetsuits will not be required. Purpose: These swims are designed to give newer to advanced swimmers an open water venue to practice swimming. We will not provide coaching at these practices yet feel free to bring your coach. Benefits: Test a new wetsuit, swim with other people without lap lanes, sight buoys and turns, measure your speed, and get comfortable in open water. Course: The swim course changes based on the number of confirmed swimmers. Course will be an out and back loop, either 150 meters or 300 meters around, swimming in a counter-clockwise direction. The olympic distance swim is either 10 laps of the 150 course or 5 laps of the 300 lap course.